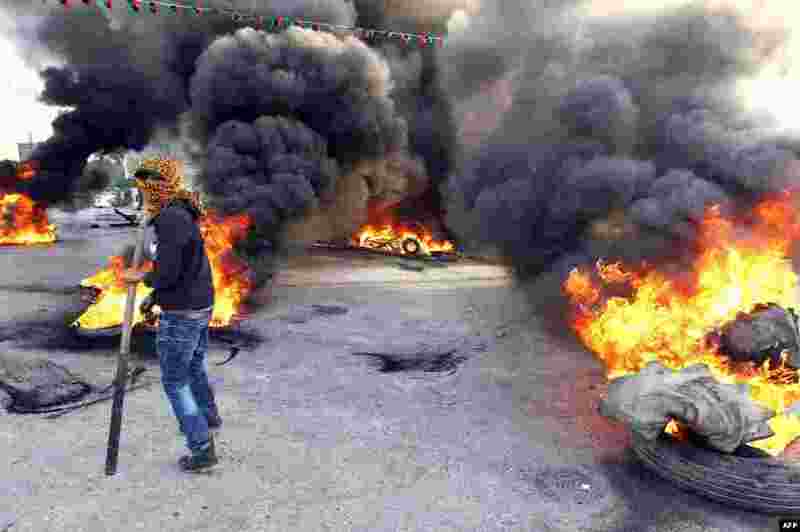 ۱ A protester walks in front of burning tires as they block a street in Libya's second city of Benghazi after the killings of two policemen. 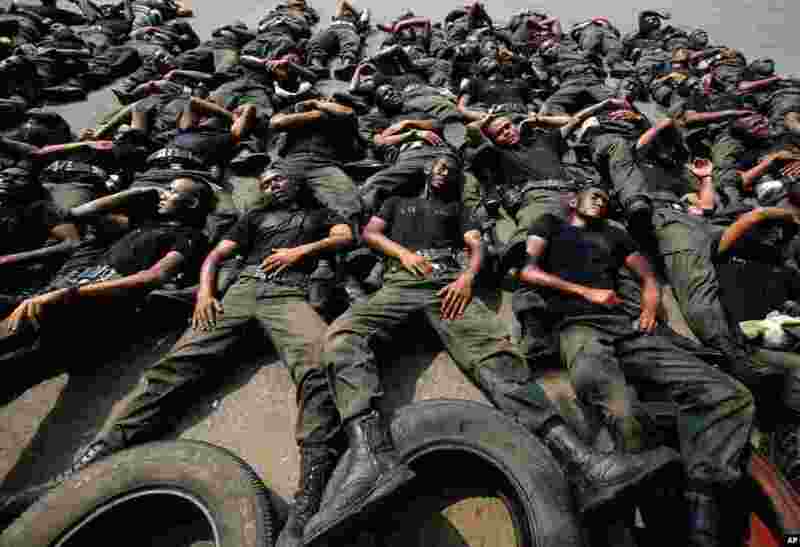 The fatal shootings of the two officers came just a day after the U.N. mission in Libya voiced "deep concern" over the near-daily violence plaguing the North African country, particularly the east. ۲ Thai police commandos take a rest during an anti-terrorist exercise at Crime Suppression Division in Bangkok, Thailand. 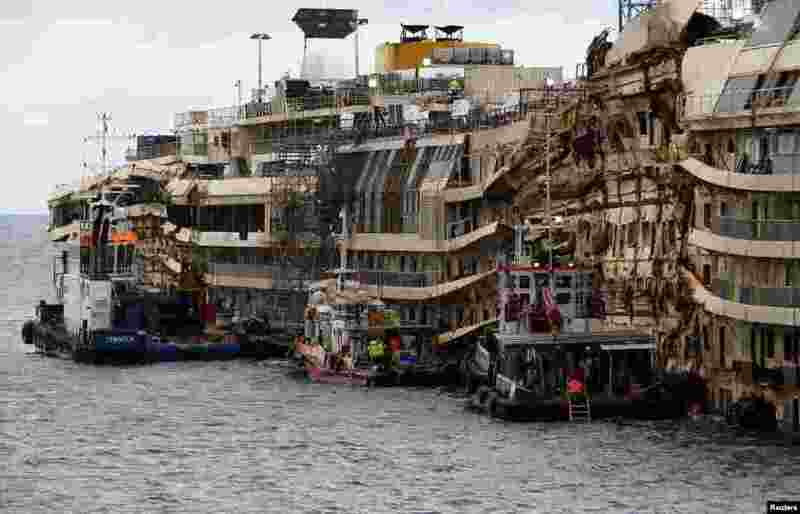 ۳ The cruise liner Costa Concordia is seen outside Giglio harbor, Italy. Captain Francesco Schettino returns to Giglio island for the first time since the shipwreck of the cruise liner in 2012 in which 32 people died. The captain is expected to tour the wreck as part of his ongoing trial. 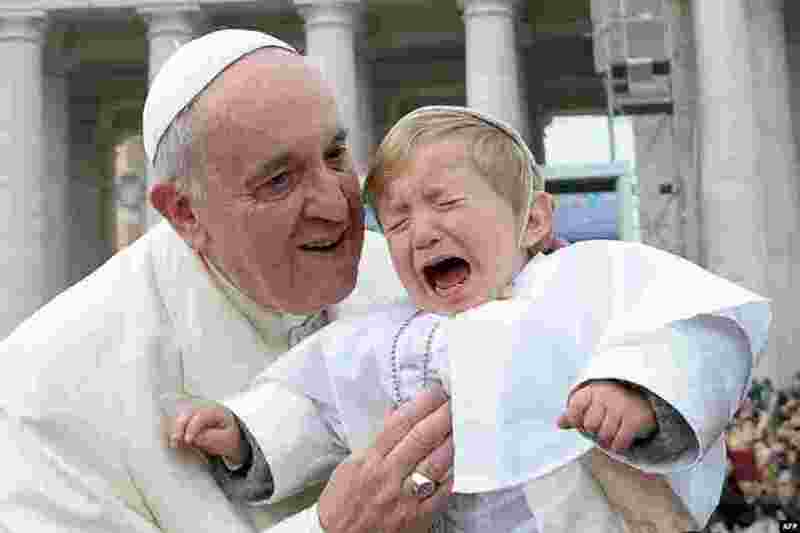 ۴ Pope Francis kisses a boy dressed as a pope as he arrives for his general audience in St Peter's Square at the Vatican. 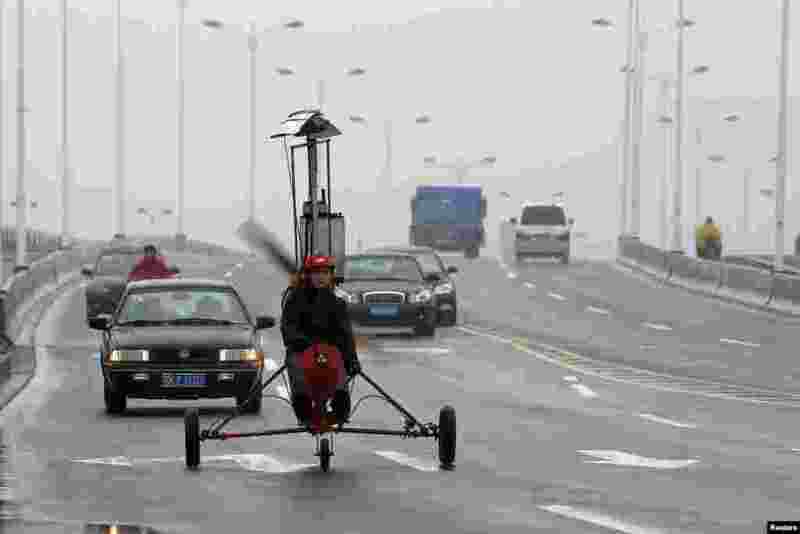 ۵ Luo Jinsha drives his self-made aircraft during a test flight on the outskirts of Shanghai, China. Luo, 28, a migrant worker living in Shanghai, spent around eight months and 40,000 yuan ($6,529) to build the plane to fulfil his dream to fly. ۶ A model presents a creation of British fashion designer Gareth Pugh's ready-to-wear fall/winter 2014-2015 fashion collection presented in Paris, France. ۷ A women dressed as Hindu Goddess Kali participates in a procession on the eve of Shivratri festival, in Jammu, India. 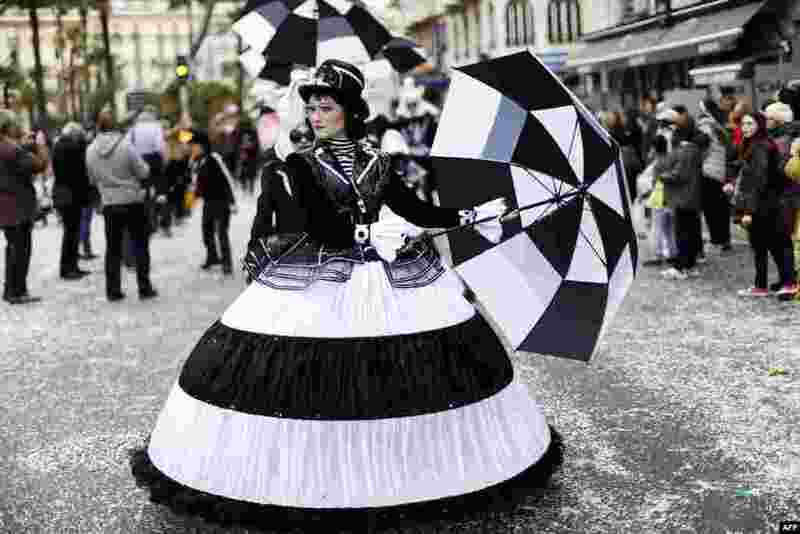 ۸ Dancers parade during the Nice Carnival, southeastern France.